Members of UFCW Local 7 who work as Safeway pharmacy technicians in Douglas, Wyoming, ratified their first union contract on April 16. The new contract includes better wages and health care. 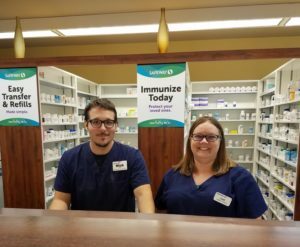 The three Safeway pharmacy technicians joined UFCW Local 7 last August because they wanted to join the rest of their coworkers for a voice in the workplace. The Safeway store in Douglas is now wall-to-wall union.